Moore’s Law Hits a Limit. Moore's Law says that capability of high-tech electronics doubles every two years! But lately, some have questioned ho far it can go! News Flash: Moor's Law hitting limits of silicon! But this is just alarmist nonsense from ignorant people who don't realize that Moore's Law is not just a measure of electronics, but a measure of human ingenuity. 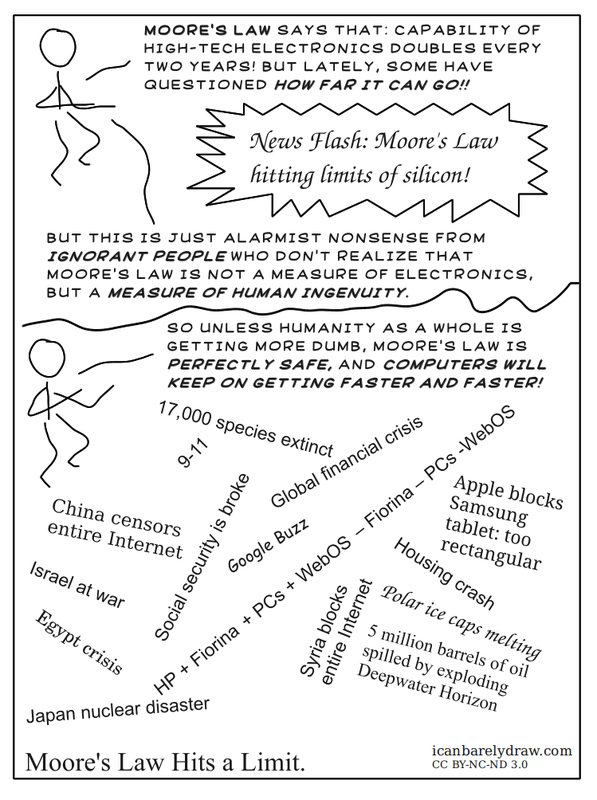 So unless humanity as a whole is getting more dumb, Moore's Law is perfectly safe, and computers will keep on getting faster and faster!